The first Parker Store in Canada was opened in 1994, at one of FluidLine’s facilities in Stoney Creek, Ontario. This was followed by the Parker Store on Wheels – nick-named the Hose Doctor; a mobile unit that brings the store to the customers’ front door or on-site location. On-site problem solving and manufacturing for your hydraulic and pneumatic hose needs. 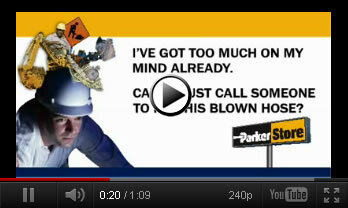 For emergencies and project situations. The Hose Doctor Mobile Unit is available 24hrs a day – Seven days a week. 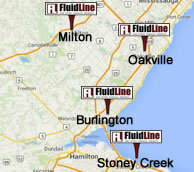 Contact us at any of our three FluidLine locations. Can’ Get To the Store? with our ‘Hose Doctor’ mobile unit.